St Patrick’s Day is a celebration of Ireland and Irish culture. 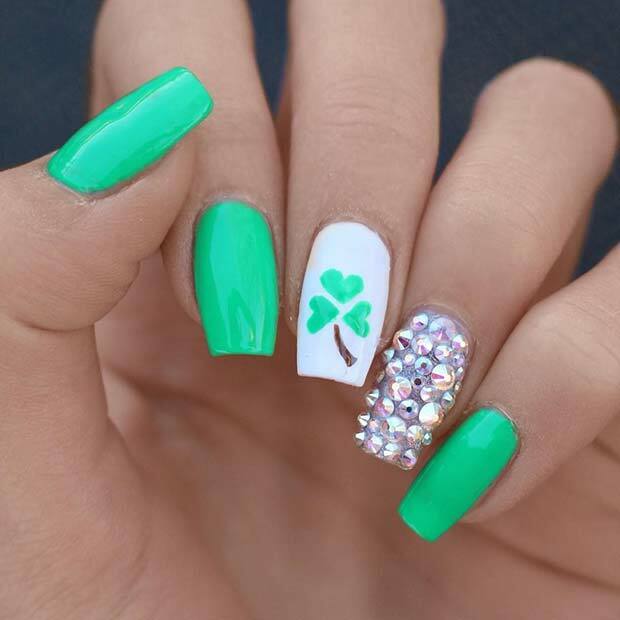 To help you get ready for the fun holiday we have found 21 of the best St Patrick’s Day nail ideas. 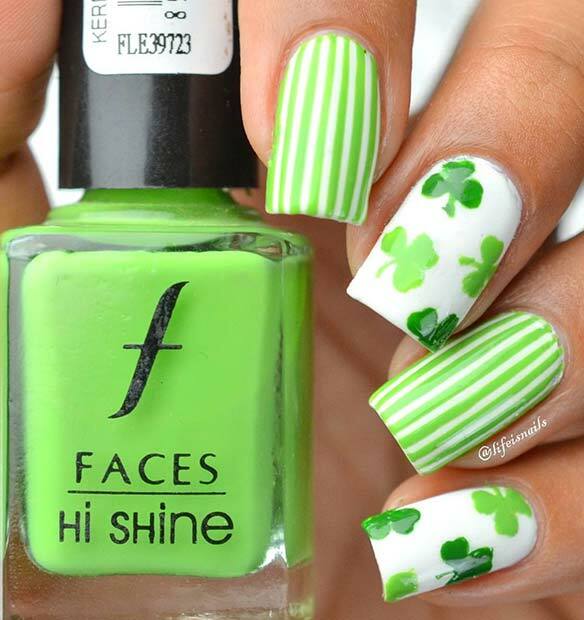 We have green nail art, lots of Shamrock designs and more. There are nails for everyone whether your new to creating art or are a total pro. You could even have some of the looks recreated at the nail salon. 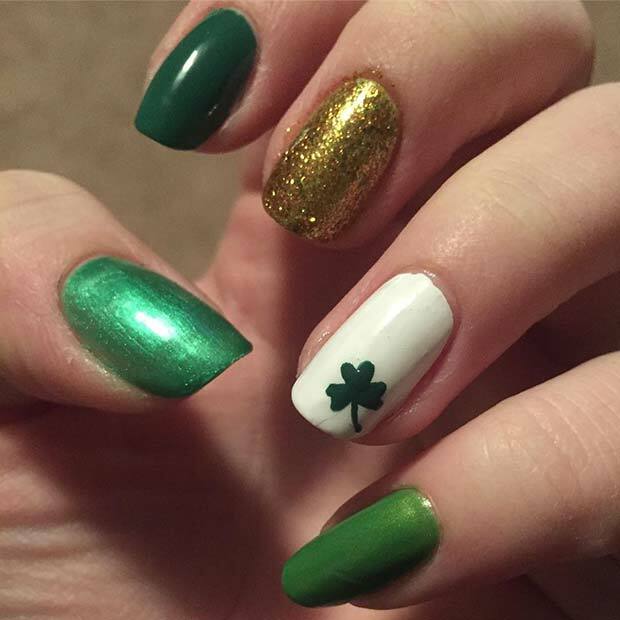 All the nails featured would look awesome for any St Patrick’s Day event. 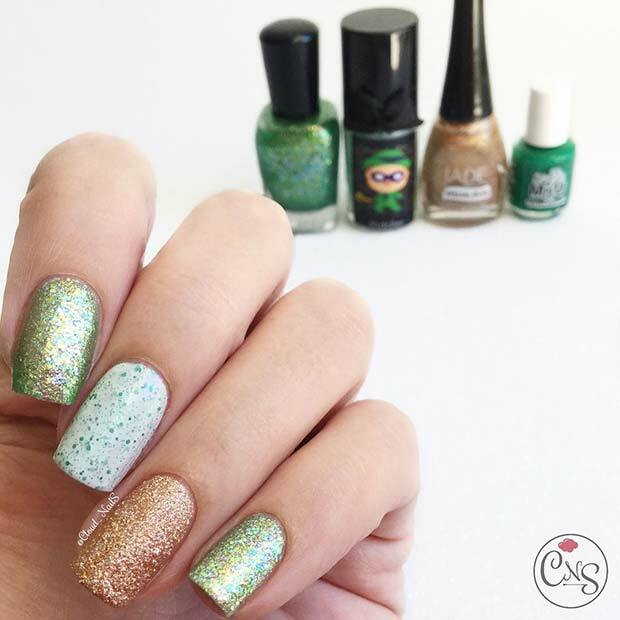 Our next idea features a manicure that uses green, gold and white polishes. 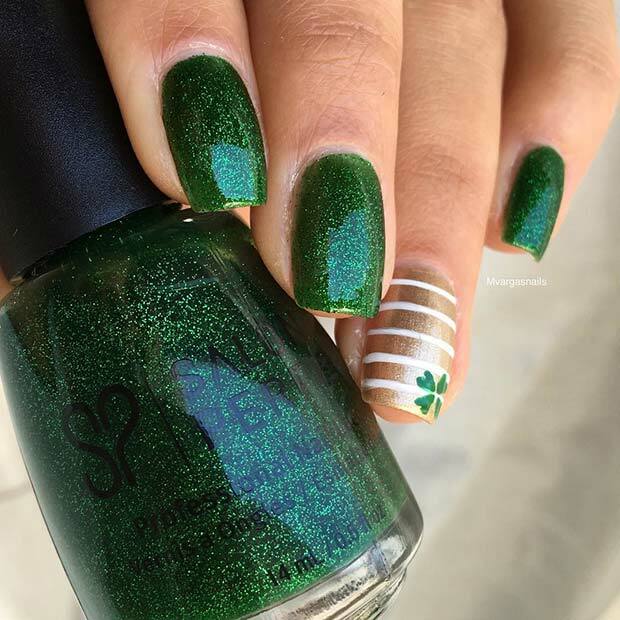 There are two accent nails with a shamrock and chevron design. 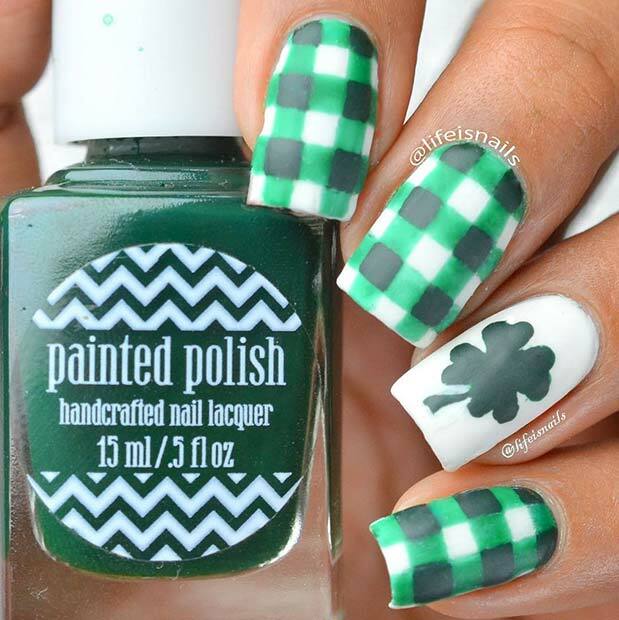 Nails like these are perfect for the holiday, you could recreate these with or without the chevron design. Shamrocks are symbols of Ireland. 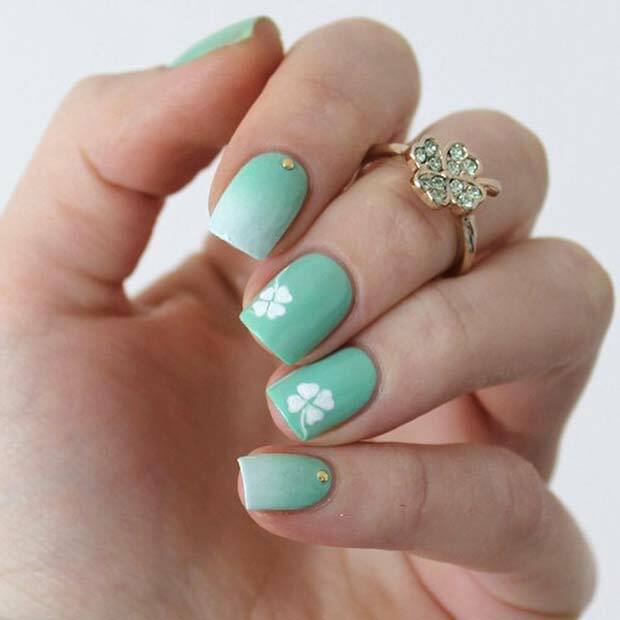 Our next idea features a glam shamrock design. 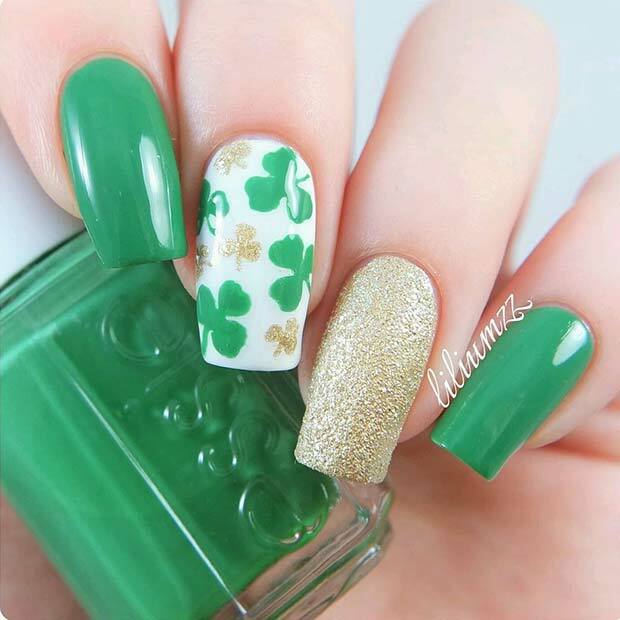 Three of the nails are painted in a vibrant green, one nail is covered in gems and one nail has a small shamrock design. There are a few ways you could recreate nails like these. You could have all three designs or maybe just choose one you like. Either way gems and shamrocks are perfect for a St Patrick’s day celebration.